As with anything that has been around for several thousand years, the theories and practices of acupuncture have changed over time, and today there are many variations. Tai Sophia Institute (now the Maryland University of Integrative Health), where Emily earned her Master of Acupuncture degree, is a “Five Element” School. For more information on what that means go here. Five Element acupuncture involves a partnership between patient and practitioner in which they explore together the patient’s symptoms in order to get to the root cause of the imbalance, thus helping the patient thrive on a body, mind and spirit level. This approach employs a combination of lifestyle adjustments and needle treatments. With a needle treatment, the practitioner inserts shallowly single use stainless steel needles into points on the body along channels called meridians. This directs the flow of energy, or “qi” in the body. The effects of treatment are cumulative and improvement occurs over time. There is much more to the benefit of acupuncture than the needle treatment itself. Talking to your acupuncturist can be cathartic, and it can feel nice to have a safe, private place to discuss anything and everything in life in a non-judgmental environment. While Emily is not a talk therapist, she will sometimes ask clients to make lifestyle adjustments and see what they notice, or ask them to pay attention to what is happening before and after a particular symptom comes and goes. As with anything in life you get out of it what you put in, and to keep any form of treatment from functioning as a “band-aid” requires willingness on the client’s part to change destructive habits. After the initial consultation, which involves about 45 minutes of conversation about your health history, a regular treatment involves a 10-15 minutes check-in on how you are doing for me to get a sense of what treatment you need that day. You will then lay down on a comfortable massage table and Emily will feel the pulses on each of your wrists. There are twelve pulses, six one each side! Acupuncturists get a lot of information from your pulses – they can sometimes tell what kind of food you’ve been eating, how you’ve been sleeping and much more. The first several treatments you may receive are usually “clearing” treatments, and they can vary based on your individual needs. Clearing treatments ensure that all energetic blockages are removed, and that nothing is in the way of your treatments, on a physical or emotional level. A typical treatment varies based on the individual and how they show up that day. Emily usually uses between 2 and 10 needles per treatment. Having more needles does not necessarily mean more benefit – some of the most powerful treatments require but a single needle! 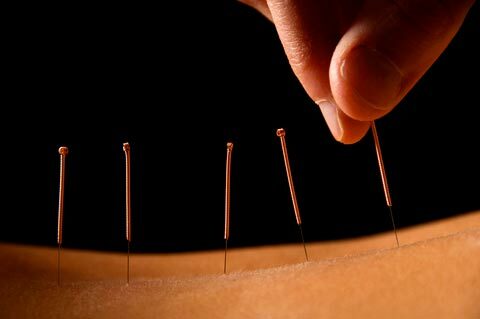 There are some traditions of acupuncture in which a strong sensation upon needling is desired, and the practitioner will re-needle if the patient feels nothing. Emily is trained in a very gentle needling technique. How the needling feels will depend on the individual receiving acupuncture, where the point is on the body, and how stuck the qi (energy) is. Sometimes the more a point hurts the more you needed that point needled! But most of the time the sensation is very minimal – a slight pinch or prick when the needle goes in, or nothing at all, followed by the sensation of energy moving around the point or on the meridian. Clients may notice you feel lighter, or like you’re floating. Or, you may feel nothing at all. Sometimes a symptom or outlook on life shifts immediately following treatment, sometimes it takes a day or two, or several treatments. Acupuncture treatments can be both dramatic and incredibly subtle; part of acupuncture’s objective is to awaken the client’s awareness to body’s way of communicating.